Established in 1996 by businessman Dr Tom Cavanagh, Irish Business Against Litter (IBAL) is an alliance of companies sharing a belief that continued economic prosperity – notably in the areas of tourism, food and direct foreign investment – is contingent on a clean, litter-free environment. In addition, IBAL believes all citizens have the right to a clean living environment. With its Anti-Litter League, IBAL has been ranking towns and cities across Ireland according to their cleanliness levels since 2002. An Taisce is commissioned to monitor areas independently and in accordance with international grading standards. This work takes place with the support of the Department for Communications, Climate Action and Environment. Recently, IBAL has extended its surveys to include coastal areas and waterways, given their significance in terms of both tourism and the broader – and critical – environmental issue of marine litter. 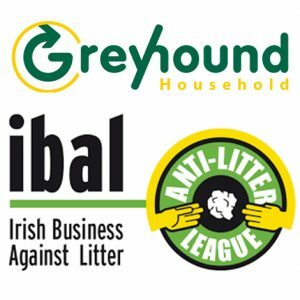 Greyhound are delighted to become a member of IBAL and look forward to providing support and gaining insights from all the IBAL reports.